We believe in the uniqueness of each individual and the strong contribution that he/she can bring onto the table. We have seen the transformation that teams can bring about when working together effectively. We also feel that the world could do with more love! And industry can make a big impact here. Values of respect, appreciation of differences, contribution and collaboration build strong businesses. By championing these values, industry nurtures them in society. Our focus is to provide designs and tools that are impactful, make a difference and easy to implement. We combine the knowledge and pulse of your organisation that only you have with our ability to be perceptive to your unique need. We then design a process and deliverables that build credibility and is impactful. Our interventions focus on the ‘how’ of leveraging tools and processes to bring about change. Leaders and teams are equipped with the knowledge, skill and signposts to enable on the ground change. We are the India Regional Representative for Belbin and are closely associated with Grid International. We therefore draw from rich and internationally acclaimed research and culture tools. 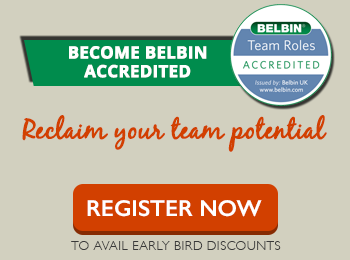 We’ve been associated with Belbin right from it’s inception in India. We’ve been associated with Grid International for over 20 years and are part of it’s international product redesign team. Our expertise lies in the area of organisation culture change, building leadership and maximising performance within teams. Mr. Leslie D’Souza is the Chairman and Managing Director of PrePearl Training Development Pvt. Ltd. The first to introduce Belbin Team Roles in India, he has been using Team Roles and the Grid methodology to assist teams realize their potential for over 20 years.